Johnson was born on May 2, 1972, in Hayward, California, to Ata Johnson (née Maivia) (b.1948) and former professional wrestler Rocky Johnson (born Wayde Douglas Bowles) (b.1944). Growing up, Johnson briefly lived in New Zealand with his mother's family, where he attended Richmond Road Primary School in Grey Lynn before returning to the United States of America. He then attended Shepherd Glen Elementary School and Hamden Middle School in Hamden, Connecticut. Johnson spent his high school years in Honolulu, Hawaii at President William McKinley High School, in Nashville, Tennessee at Glencliff High School and McGavock High School, and in Bethlehem, Pennsylvania at Freedom High School. He was arrested several times for fighting and theft before the age of 17. Johnson also began playing sports, joining his high schools' gridiron football, track and field and wrestling teams. The success of Johnson's wrestling character allowed him to cross over into mainstream pop culture. He appeared on Wyclef Jean's 2000 single "It Doesn't Matter" and in its music video. He also recorded "Pie" with Slick Rick for WWF The Music, Vol. 5. In 2017, Johnson again played Luke Hobbs in the eighth installment of The Fast and the Furious franchise, The Fate of the Furious, and starred in Baywatch and Jumanji: Welcome to the Jungle. That year, he was ranked by Forbes as the second-highest grossing actor and the second-highest paid actor. He also won his second consecutive award at the People's Choice Awards for his role in Ballers. In 2018, Johnson starred in two action films, Rampage and Skyscraper, and was again the world's second-highest paid actor for the calendar year. He then appeared in Fighting with My Family (2019), a seriocomedy centering around the life of WWE's Paige. Johnson performed as Luke Hobbs for the fifth time in his career in The Fast and the Furious spin-off movie Hobbs & Shaw (2019). Johnson is half-Black and half-Samoan. 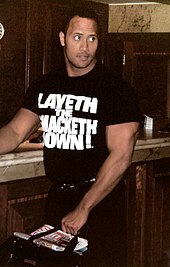 His father, Rocky Johnson, is a Black Canadian and part of the first Black tag team champions in WWE history back when it was known as the WWF along with Tony Atlas. His mother is Samoan and the daughter of Peter Maivia, who was also a pro wrestler. Maivia's wife, Lia Maivia, was one of wrestling's few female promoters, taking over Polynesian Pacific Pro Wrestling after her husband's death in 1982, until 1988. Through his mother, he is considered a non-blood relative of the Anoa'i wrestling family. On March 29, 2008, The Rock inducted his father and his grandfather into the WWE Hall of Fame. 2012: Forbes #70 on "Celebrity 100 List of The World’s Highest-Paid Entertainers"
2014: Forbes #23 on "Celebrity 100 List of The World’s Highest-Paid Entertainers"
2015: Forbes #81 on "Celebrity 100 List of The World’s Highest-Paid Entertainers"
2016: Forbes #19 on "Celebrity 100 List of The World’s Highest-Paid Entertainers"
2017: Forbes #22 on "Celebrity 100 List of The World’s Highest-Paid Entertainers"
2018: Forbes #5 on "Celebrity 100 List of The World’s Highest-Paid Entertainers"
^ a b Chuba, Kirsten. "Dwayne Johnson ranks second on Forbes list of 2017's top-grossing actors". mcall.com. Retrieved April 19, 2019. ^ a b "2. Dwayne Johnson". Forbes. Retrieved April 19, 2019. ^ a b Robehmed, Natalie. "The World's Highest-Paid Actors 2018: George Clooney Tops List With $239 Million". Forbes. Retrieved April 19, 2019. ^ a b Oestriecher, Blake. 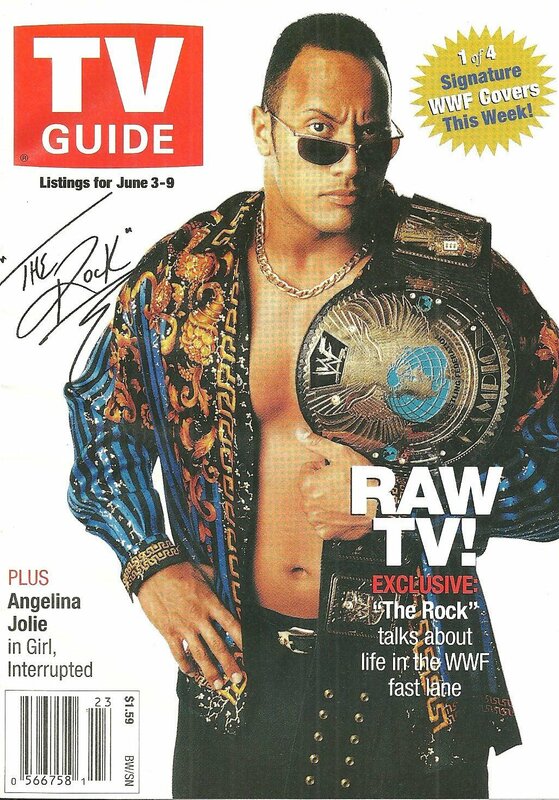 "The Rock's 20 Biggest Career Highlights". Forbes. Retrieved April 19, 2019. ^ Pomerantz, Dorothy. "Dwayne Johnson Is The Top-Grossing Actor Of 2013". Forbes. Retrieved April 19, 2019. ^ "Dwayne "The Rock" Johnson 2nd Highest Paid Actor On 2014 Forbes List!". praiseindy.com. August 6, 2014. Retrieved April 19, 2019. ^ "No. 23: Dwayne Johnson". Forbes. Retrieved April 19, 2019. ^ Lauer-Williams, Kathy. "Dwayne 'The Rock' Johnson lands on Forbes' highest-paid actors list". mcall.com. Retrieved April 19, 2019. ^ "81. Dwayne Johnson". Forbes. Retrieved April 19, 2019. ^ Robehmed, Natalie. "The World's Highest-Paid Actors 2016: The Rock Leads With Knockout $64.5 Million Year". Forbes. Retrieved April 19, 2019. ^ Greenburg, Zack O'Malley. "Full List: The World's Highest-Paid Celebrities 2017". Forbes. Retrieved April 19, 2019. 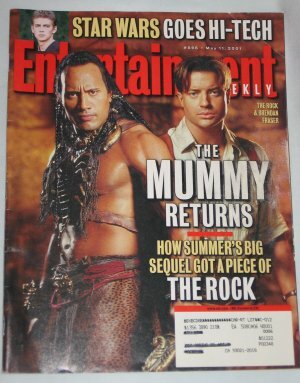 ^ "Dwayne Johnson". Forbes. Retrieved July 17, 2018. ^ Robehmed, Zack O'Malley Greenburg,Natalie. "Celebrity 100: The World's Highest-Paid Entertainers 2018". Forbes. Retrieved July 17, 2018.